In this talk, Andrew Zalewski will intertwine genealogical discoveries with a broader historical context to bring to life the Jewish community of Galicia during the era of Austrian rule. 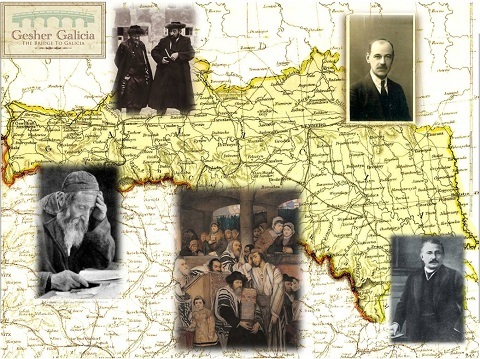 Galicia, annexed into the Habsburg Monarchy in 1772, was home to a large and diverse Jewish community: by the twentieth century, approximately 10% of the population of Galicia was Jewish. Andrew Zalewski, author of two books on his Jewish roots in Galicia, explores the impact of Habsburg rule and the ‘Jewish enlightenment’. Habsburg imperial edicts were both stifling and inspiring for the Jewish community in Galicia – the laws about Jewish marriages, surnames, schools, and military service brought dizzying pace of changes but also controversies. From the inside the community, there was a wave of the Galician Enlightenment (Haskalah) – biting satires by local Jewish cultural rebels were met with condemnations and counterattack. The community was vibrant and diverse: professionals, pious traditionalists and reformers, dwellers of shetls and cities, and passionate arguments about language, customs, and loyalties easily erupted. But even in difficult times, there were brave voices that spoke loudly against prejudice. Based on expanded research to the speaker’s recently published book Galician Portraits: In Search of Jewish Roots, the talk is illustrated by many pictures, historical documents, and old maps of Galicia.